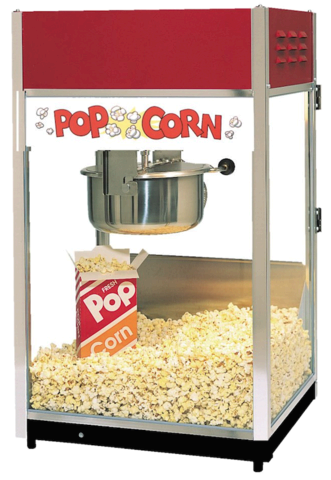 Make gourmet, movie-theater style popcorn anywhere with the Jolly Jumps commercial grade popcorn machine. This premium-quality popcorn machine is equipped with modernized features for convenient, easy operation. Ideal for adding aroma and a tasty snack to community events, school and church fundraisers and carnivals, businesses, parties, movie nights, home movie theatres, and much more. 50 servings of supplies are included. Free delivery is included on orders of $125 or more.